This is undoubtedly the most common prayer used by Christians. The event where prayer was given to us by Christ is recorded in the Gospel of Matthew 6:9–13 as a section of the Sermon on the Mount, and in the Gospel of Luke 11:2–4. Nowhere before this time did anyone dare to pray to God as their own father. It was not the custom of any rabbis or spiritual teachers to address the Almighty as “Abba,” the way a child might use when speaking to their “Daddy”. Jesus used it as an intimate form of address, then taught His disciples to do the same. The use of the prayer is a mark of being Christian. As an indication of its importance, it is the prayer we pray just before receiving Holy Communion in the Divine Liturgy. 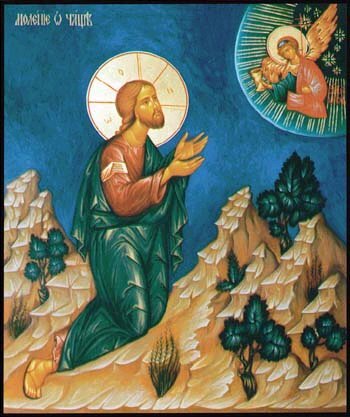 Before we recite it the priest says, ” And deem us worthy, O Master, that we may boldly, without condemnation dare to call upon thee, the Heavenly Father…” It is indeed most daring to address God as our father. It recognizes him above all else as our Creator and most loved Lord who will provide for and protect us. To say it requires a deep faith in God.